An extensive body of research into flaxseed illustrates that flaxseed has gained a significant position in the domain of nutritional sciences owing to its pivotal role as an antioxidant agent. 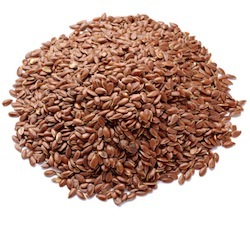 Flaxseed is packed with omega-3 fatty acids which can help to reduce inflammation in the body. Grind flaxseed to release the oils, and then add a spoonful of it to your salad, oatmeal, or yogurt. For more omega-3-rich foods with anti-inflammatory benefits, eat soybeans, extra-virgin olive oil, and fatty fish like salmon and tuna.